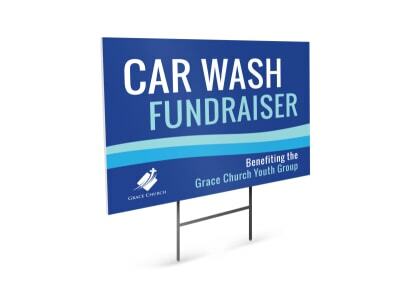 Draw every vehicle traveling the main thoroughfares of your community in for a car wash, oil change, or alignment check with well-placed yard signs along the route. Hitch a ride with our design team by customizing one of their automotive & transportation yard sign templates. Our online editor puts you in the driver’s seat – simply upload your logo and graphics, then finalize the color scheme, layout, and text. Your finished product will prove that there’s not a lemon [template] in the bunch! 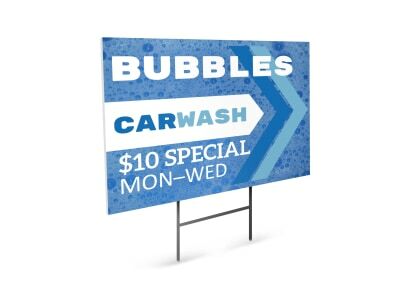 Don’t let any dirty, mud-covered vehicles pass you by without a second glance – customize an array of eye-catching car wash yard signs that cause steering wheels and GPS voices to make a quick turn your way. MyCreativeShop has oodles of professionally-designed templates for you to choose from. Pick the one that speaks to you, then slide on over to our online editor to turn it into your unique creation. Upload photos, choose a fun font, change up the color scheme, or switch up the layout. The world (and the sign!) is your oyster. Once you’re satisfied, send it to your favorite local print shop or call an audible and let us deliver a completed print job on premium paper right to your door. Hurry, before the next potential customer leaves a mud trail as they drive right on by! Your car may be your baby, but eventually, you may need or want to move on. 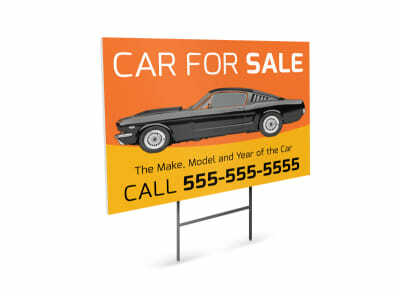 When it’s time for Rhonda the Honda, KITT, or Bumblebee to find a new owner, take a few minutes to customize your own for sale sign to attract the right buyer. 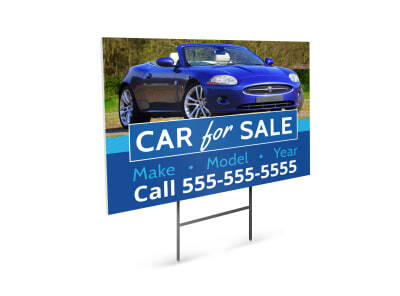 Our design team has put together a fleet of car for sale yard sign templates that you can tune up with the help of our online editor. Keep it simple, but make sure to include the main selling points – year, make, model, mileage, asking price, and phone number. Catch the eye of passersby with an easy-to-read color scheme and clean design. We can print and deliver your project to you, or you can take it to any printer you like. Display your signs in high-traffic areas and keep your phone handy!